The airline industry is one of the most popular fields when it comes to customer service expectations. Travelling involves a lot of people interaction, especially when it comes to airlines because there are certain steps and processes that a person needs to go through. That’s why when the news about the United Airlines broke out, the PR side of things, particularly crisis management, blew up too. As cliché as it may sound, the customer is always right. The airline industry is highly competitive, and passengers make their choices not only on price, but also customer service. While the industry is highly regulated, it is still customers who will define the quality of service. It’s wise to look at this equally vis-à-vis industry regulations. This would allow you to make better decisions because you are thinking for and with them. Furthermore, if you were the passenger, you would appreciate it if the airline would provide complete information when there’s a specific issue. Remember that your customers only know the specifics of the issue based on what you tell them. Therefore, it’s best to make them understand and clearly explain the reasons why it happened and what next steps to take. Clearly explained processes assure customers that they are being treated fairly. A mishap should, first things first, elicit an apology. Customers appreciate that. However, the next crucial step is the follow through. Customers don’t complain just for the sake of complaining. They raise a concern because they experience discomfort. And like any good company, you address it. It sounds perfectly right that a customer has resolved his or her issue a hundred percent. Giving utmost importance to your customers builds confidence for your brand. Simply, these customers just want a safe and fast flight to wherever they’re heading. Doing something extra beyond that is already plus points for your company. In any customer service equation, if you add consistent and efficient service, you have the odds on your side. At the end of the day, the United Airlines debacle should serve as a lesson for other industries when it comes the mistakes and successes of the situation. The situation that happened to them all boils down to customer service and service processes, standards, and management. Processes must be clear. United Airlines and a number of authorities argue that airlines are allowed to overbook. It’s also argued that airlines have a prerogative to deny the boarding of passengers during these instances. The challenge: the passenger was already allowed to board the flight. Certainly, this has implications not only on the service aspect, but also the legal side. Customers have expectations especially in the airline industry. This is despite customers expecting their flight to be delayed most of the time. Instead of misleading them with wrong information, they would highly appreciate it if you just tell them the truth. This type of action would lessen the chances of having a snowball effect in the issues you face. Although admitting mistakes as an entity is difficult, putting the welfare of your customers at risk because of you doesn’t sound so good. 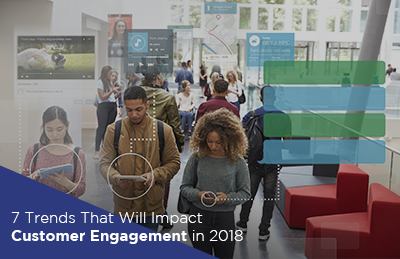 By managing expectations, you can handle the issue in multiple ways, and the last thing in the list should be at the expense of your customer. When it hampers the customer experience, offer options. If you cannot give them what they are expecting, offer them options to choose from. Doing so can make them feel more empowered and valued as customers. You need to believe in your word. Be consistent in handling issues especially when you address them publicly. You just don’t know it, but other customers are watching you. If you address a certain issue this way, you should address it in the same manner when it happens again. This is all considering that it yielded positive results. If it didn’t end well, however, try looking at the feedback and adjust. Always welcome constructive criticism. You have a brand promise to adhere to, and maybe, it just gets lost in the execution. United Airlines has prided itself in its slogan, “Fly the Friendly Skies.” They spent much in developing the slogan alone. They should, however, spend more on ensuring that this branding is clearly exhibited in all aspects of its operations. Otherwise, the slogan backfires – and it did. 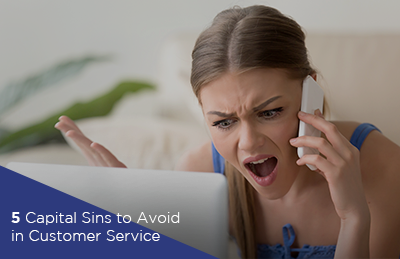 If your customers experience any mishandling during your service to them, make sure to make it up to them. On the positive side, if they experience great service, the word of mouth spreads fast in the age of social media, and surely, you’ll get a good word in. Official statements must be sincere. Unfortunately for United Airlines, their first statement added more insult to injury when it appeared to cast blame on the passenger himself. A poorly-written apology combined with a lack of customer recovery measures have aggravated the situation. Combine this with the video that went viral, it has not been surprising that United Airlines’ stocks fell $1.4 billion. Just like any other organizational structure, concerns are handled in different levels. Never ever forget to train all the employees all the time. Practices and customs change through time, and it’s important to update your training with it. What works now might not work in the future. Always remember to train the first line of employees when addressing an issue, as they usually handle the most pressure because of the brevity of the impact. Teach them the general solutions to all of the concerns. 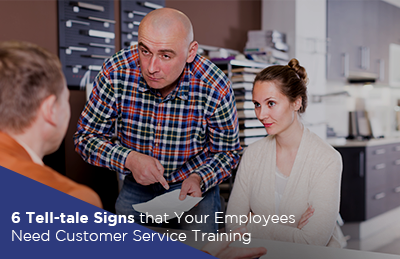 One thing that customers hate is being passed around from one employee to another. This is not the first time that United Airlines found itself in a controversy. In 2008, United found itself in hot water after it damaged the guitar of musician Dave Carroll. When he complained about the mishandling of his guitar, the airline essentially ignored him. After being ignored by the airline for a year, he took his revenge by producing a music video narrating his experience. As of April 17, it has been viewed on YouTube at least 17 million times. The warning for many companies and professionals: if we don’t learn from our mistakes, we are bound to repeat them again in the future.